Unbelievably comfortable shaping bandeau supports up to a D cup. Lightweight silky fabric feels invisible on, slimming and smoothing. 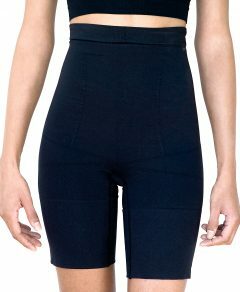 Luxury shapewear with “zero gasp” that you can wear all day and in every season. Unbelievably comfortable shaping bandeau supports up to a D cup. Lightweight silky fabric feels invisible on for shaping, slimming and smoothing. Luxury shapewear bra with “zero gasp” that you can wear all day and in every season.